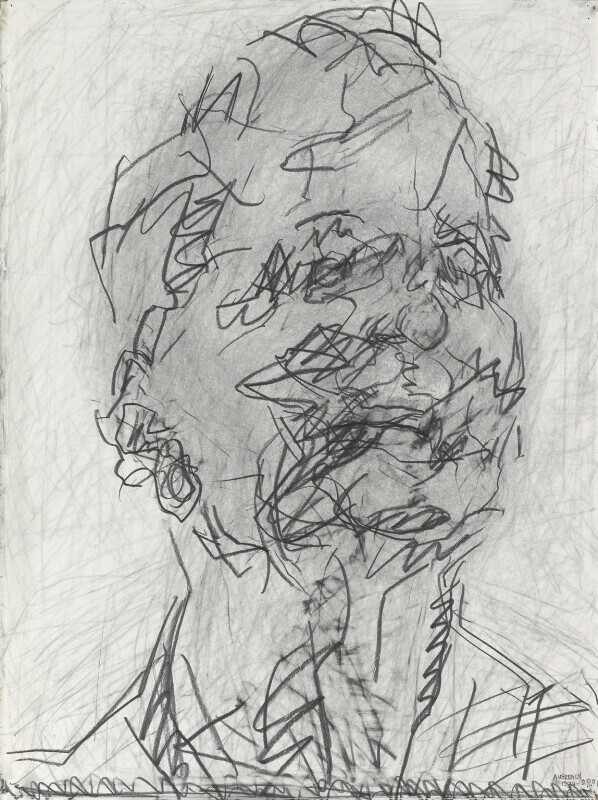 Frank Auerbach’s approach to portraiture is legendary and through it he makes some very interesting points about the nature of portraiture and of drawing. 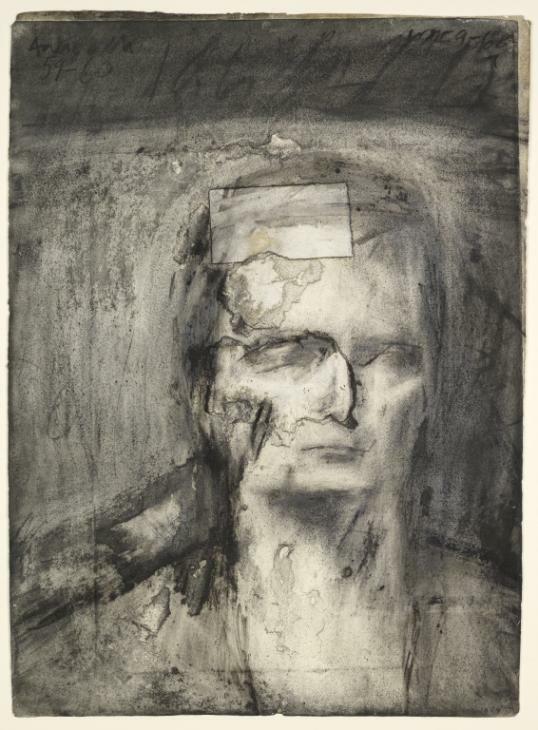 Research what makes Frank Auerbach’s portraits unique, and how he used the passage of time in them. Think about why he might have done that and make notes about how working from life differs from working from a photograph in terms of the way we experience the time spent. Frank Auerbach was born in 1931 in Germany but was relocated to Britain as the threat of Nazi Germany grew in 1939, he never saw his parents again! As an artist he has worked for much of the time from the same studio in London. Much of his work is painting portraits and landscapes of people and places known to him. His work is now readily identified by both its style and content; the expressionist portraits with their rough impasto rendering is uniquely different to both contemporaries or older artists. This visual representation of his style is a result of his working techniques and methods. He spends a long time painting and scraping back, constantly returning to the same work and scraping away much of his earlier efforts so that the final piece is a three dimensional textured image in what is essentially a two-dimension art form. In his drawings he uses pencil on top of charcoal to re-emphasise and to further define features in his work. Each work takes a long time to complete with the repeated processes of scraping back and repainting and repeating for dozens or scores of times. This process is repeated with whatever medium he works in. (Tate 2018). The result of this scraping back is damage to the support, this he must repair and patch continually as he continues this method of working past the point of where the support will tolerate such abuse! 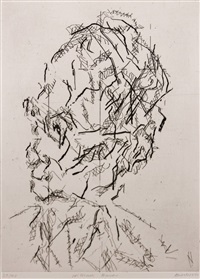 When rendering his works he uses whatever comes to hand to apply paint and noted in an interview that: “I use all sorts of instruments (even sometimes hands) to apply the paint.” His mark making develops over time; with brushes, palette knives, putty scrapers and sometimes paint squeezed directly from the tube.” (Tate 2018). 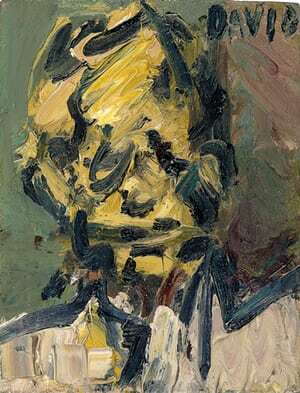 The ambiguous nature of his portraits does not welcome a quick viewing, otherwise they will not reveal their complexities of the life within the painting or the sitter that Auerbach has spent hundreds of hours striving to capture. The thick sinuous paint must be studied and examined for a time to allow the subtleties of his work and the ambiguities to resolve. Below I have included some images that illustrate some excellent examples of his work with their thick application of paint and ambiguous initial understanding. 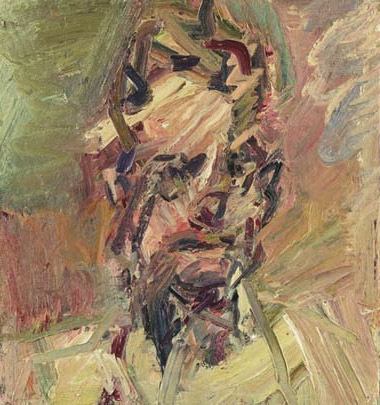 Auerbach primarily paints portraits, but these are not visual representations of the person than many would immediately recognise. His portraits are a result of the time and knowledge he has of a person not just how they look but knowing them. He spends a day drawing or painting his sitter and has them return later often the following day, he rubs out or scraps back the earlier work and essentially restarts. The end portrait is a cumulation of all the sittings and not just the last final one. Thus, his portraits are his very personal view of the person with his work not just representing how they look but how he perceives them in looks and as a person. How he used the passage of time in them. In his book “The Shock of the New”, Hughes (1991), notes the statement below in his commentary of how the Cubists worked and how they wished to represent their subject. 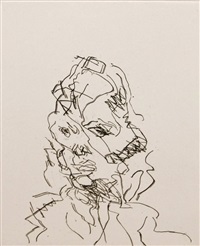 Auerbach does something quite similar in his portraits. He doesn’t just give us a single view from one sitting. He gives us the combined efforts of multiple sittings. He often knows his sitter but with the multiple sittings which may run to dozens or even hundreds of sittings he sees past the flesh container of a face and into the person. Whatever conversations and talking over the eventually very long time they spend together is compressed into his representation of them in their portrait. We may not be party to all the conversations but this knowledge of the person is used by Auerbach to literally flesh them out and make them come alive in their portrait. He noted that “Painting is not manufactured. Each picture has its own history. The only constants are the fact that it always takes a long time, sometimes a very long time. (Tate, 2018). He did not feel that he was a natural draughtsman and felt he had to strive in his work to push deeper and deeper to understand the subject and achieve what he felt was his deep understanding of this subject, person. Much like the exercise mantra, “no pain, no gain”, he felt he needed to push and push to achieve what he sought. He felt that a natural draughtsman would not achieve this same level of understanding and empathy with his subject as he would spend much shorter time with his subject and drawing. Auerbach felt that his own perceived limited drawing ability became an advantage as he must spend a greater time with the subject, getting to know them and better thus to be able to represent a more accurate drawing of the person. Not necessarily a portrait with a better visual likeness but a better representation of them as a person he had come to know. Make notes about how working from life differs from working from a photograph in terms of the way we experience the time spent. Much of my own drawing is done in front of the subject whether it be a landscape or portrait The resultant sketch is not just a drawing of what you see but also of what you feel, see, hear, smell – it is a cumulation of all your senses during the drawing process. Last week I did a couple of quick sketches on Littlehampton beach. This drawing when I look at it will remind me of what a lovely warm and sunny day it was. The sounds of the waves lapping in the background and the crunch of the pebbles as beach-goers and dog walkers passed by. The smell of the salt and freshness of the sea are also recalled. In the background I will remember that the distinctive sound of a Spitfire Merlin engine was droning as a plane was pushed around the sky for much of the afternoon as the pilot practised for the upcoming air show season. All these memories and feelings were reinforced by the process of sitting there sketching. I will also be able to recall the ache in my back from sitting on the unforgiving pebble beach and the frequent nudges from my dog to throw another stick. Spending time working from life results in a collection of experiences which cumulate in a work. This work is not just a picture of what you saw but of your experiences garnered during the drawing process. A photo will thus seem lifeless by comparison to the experience of sitting and doing. Adams, T. (2018). 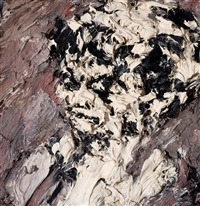 Frank Auerbach review – 60 years of trying to paint. [online] the Guardian. 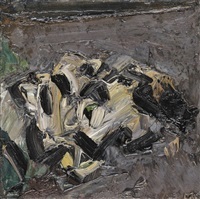 Available at: https://www.thegu ardian.com/artanddesign/2015/oct/11/frank-auerbach-tate-britain-review-60-years-retrospective (Accessed on 25 May 18)]. Hughes, R. (1991). The shock of the new. London: Thames and Hudson, p.20.